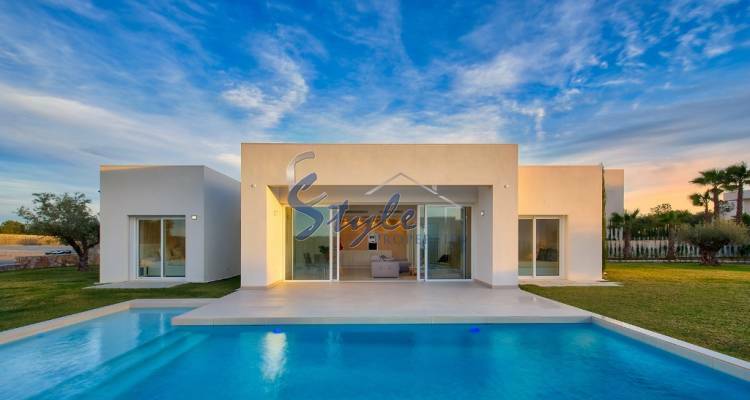 Year after year, the Costa Blanca remains one of the most popular areas for purchasing property in Spain, with more and more people buying either a permanent home or a holiday home. La Zenia in Orihuela Costa is a much sought-after beach resort situated 25 minutes from Murcia airport and 40 minutes from Alicante airport, that continues to attract thousands of visitors both in the summer and winter seasons. This is really a great choice for anyone looking to buy a detached villa or luxury villa on the Costa Blanca. La Zenia is only five minutes´ drive to the beaches of Punta Prima, Playa Flamenca, Cabo Roig and Campoamor which have been awarded the Blue Flag status. A short drive also takes you to several golf courses and other leisure facilities including horse riding, sailing, go-karting and the biggest shopping centre in the province of Alicante, Zenia Boulevard. Not to mention the excellent connections by land which will give you the opportunity to visit other tourist resorts nearby. Call us now and we will help you find your dream villa in La Zenia, Costa Blanca.